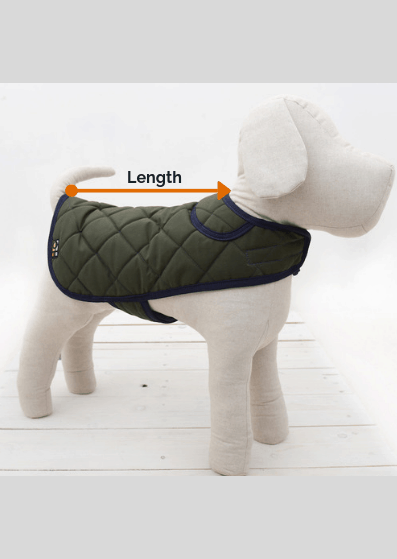 Home / Blog / Dog Nutrition: What Dog Food Should I Buy? Dog Nutrition: What Dog Food Should I Buy? Like us, what your dog eats will determine how they look, feel and act. It is really important for all dog owners to choose the best dog food for their dog’s health. With so much choice nowadays, it can seem like a bit of a minefield when selecting the best route of dog nutrition. Options include homemade dog food, natural dog food, wellness dog food, dry dog food to raw dog food. All of the different foods have their pros and cons and they all may or may not suit your particular dog and its vitamin and nutritional requirements. We have explored many of the options and focused on six key areas related to dog nutrition and dog health. There is a saying “you get what you pay for”, however this is not always true and certainly not always the case with dog food. When considering your dog’s nutrition, the ingredients that go into your dog’s food are more important than the price. Let’s go back to basics. Dog food is broadly speaking classed into two categories: complete dog food and complementary dog food. Complete dog food should have all the necessary ingredients for good dog health. On the other hand, complementary dog food is exactly that, it adds to a good diet but doesn’t have all of the nutrients required for your dog’s wellbeing. Once you have decided what type of food you are going for it is then worth checking the ingredients. The same rule of thumb can be applied as with human food, the further up the ingredients list an ingredient is, then the more of it in the food. Dog food is well regulated in the UK and any meat that is contained in dog food should also be fit for human consumption. If a specific ingredient is on the packaging (for example ‘with chicken’) then the % of it must be listed on the ingredients list. You will often see ‘animal derivatives’ as a listing. This isn’t necessarily a bad thing but more a methodology for pet food manufacturers to group different protein sources (for example it may be chicken and turkey). Look for ‘whole’ ingredients when analysing vegetables, fruits and grains. There are sometimes by-products listed (e.g. rice bran) which are less ideal than the complex original source although they still provide nutritional benefits. Consideration should also be given to whether you provide dry or fresh dog food. This is important when considering the protein content. Fresh meat will contain more water and so by weight doesn’t necessarily provide as much protein as you might expect versus a dry food which has a lower water content. If you chose a complete food, then all your dog’s nutrition should be provided. If you decide to go down the complementary route, then make sure you are supplementing appropriately and seek expert advice if you are not sure. It is worth noting that any dog food that is labelled as complete has to provide all of your dog’s nutritional requirement by European legislation. Where do treats fit into your dog’s nutrition? Dog treats are often used in training, as a reward or just as treat for being good. Like us humans, they can also be provided as part of a routine, so in an evening you may always give your dog a treat. This is all ok if you consider your dog’s overall calorie requirements as part of your dog’s health. Every dog’s calorie requirements are different and based on: weight, life stage, activity levels, and whether your dog has been neutered. So, an average 30kg Labrador might need 1500 calories per day but this is dependent on all of the above factors. If you wanted to be really scientific about it, you can use a formula of dog’s weight to the power of ¾ times 70. This gives you RER (resting energy requirements). The RER can then be factored utilising the other factors we mentioned earlier. An enlightening article by Ohio State University Veterinary Medical Centre can be found here. In simple terms if you are giving your dog treats then you should reduce their normal food to account for the extra calories. Does your dog’s age make a difference? As dogs get older their activity levels are likely to change as are their dietary requirements. Older dogs may have health issues which should be considered first when thinking about your dog’s nutrition. Once you are clear on any health issues (heart disease, cancer etc) then you should look to feed the most appropriate food. Older dogs are well catered for with ‘senior’ dog ranges recognising the need for specific characteristics aligned to your dog’s health. Make sure you find the best food suited to your dog. If you are unsure you should always consult your vet. The same can be said for puppy stage food, and any credible breeder or rescue centre should be able to recommend the appropriate food. Homemade dog food or shop bought? When you see a sign that says ‘homemade’ most people feel this is a good thing and definitely better quality than shop bought food. This is mostly the case but when it comes to dog food things can become a little more complicated. The evidence shows that the majority of homemade meals for dogs are deficient in nutrients and the necessary dog vitamins. A study conducted by University of California, Davis School of Veterinary Medicine found 95% to be lacking in a minimum of one key nutrient and 84% in at least two or more. Is raw dog food good for your dog’s health? There has been much debate over the benefits vs. the risk of feeding your dog a raw food diet. We will address some of the myths and facts associated with raw dog food. The BARF (Biologically Appropriate Raw Food) diet was coined in 1993 by Ian Billinghurst (an Australian vet) borne out of a belief that dogs would fare better on a diet pre-domestication of dogs, i.e. when dogs were wild and hunting for their own food (raw and primarily carnivorous). There is some logic in this but equally eating the food of our ancestors may not lead to a longer life…. Of course, since then there has been significant developments in the raw food diet. You can do raw food in two ways; homemade or buying ready prepared raw food. Homemade raw food does create the challenge already discussed regarding giving the appropriate level of nutrition to your dog. Commercially prepared raw dog foods will be either complementary or complete (as discussed earlier). Supplementation is likely to be required if preparing homemade food or using a complementary raw food. Like other foods we have already discussed, raw dog food has its pros and cons. We have tried to simplify them here. Positives can include: cleaner teeth, reduced bad breath, shinier coats (albeit some professionals believe this is linked to higher levels of fat in raw foods) and higher levels of energy. The cons of raw food include the risk of infection from bacteria in raw food, the potential for dogs to swallow or choke on bones, and as with all food, you could be providing inadequacies in nutritional requirements. It’s fair to say the topic of raw dog food has led to divisions across the pet world with some vets very much against it and others all for it. Our analysis suggests that whilst there are risks, these can be managed effectively by any responsible owner. We would definitely urge a word of caution regarding bones (choking risk) as well as bacteria, which doesn’t pose a risk if you wash your hands, dog bowl etc. However, if any harmful bacteria are present they may not affect your dog but may be present in your dog’s faeces. This is certainly worth bearing in mind if you have young children playing in the garden. As with all food, if you have any concerns then you should consult a specialist. Should I choose grain free? There is certainly a trend in the pet food world to focus on grain free food (grains include rice, wheat, maize etc.). There is a belief that dogs gaining their energy source from protein is better than from carbohydrate. It is of course worth noting that carbohydrate is present in many foods other than grains. Again, choosing a food that is balanced and contains all of the nutrients your dog requires is extremely important. If you prefer a grain free diet for your dog, then there is now a very good choice of well-balanced foods on the market. Some recommend grain free for dogs with intolerances. It is worth noting the allergies and intolerances in dogs are pretty rare (approx. 0.1%) so always check with your vet before you assume your dog has some form of allergy. Grain free doesn’t necessarily mean better, although it is another choice that any consumer can make. 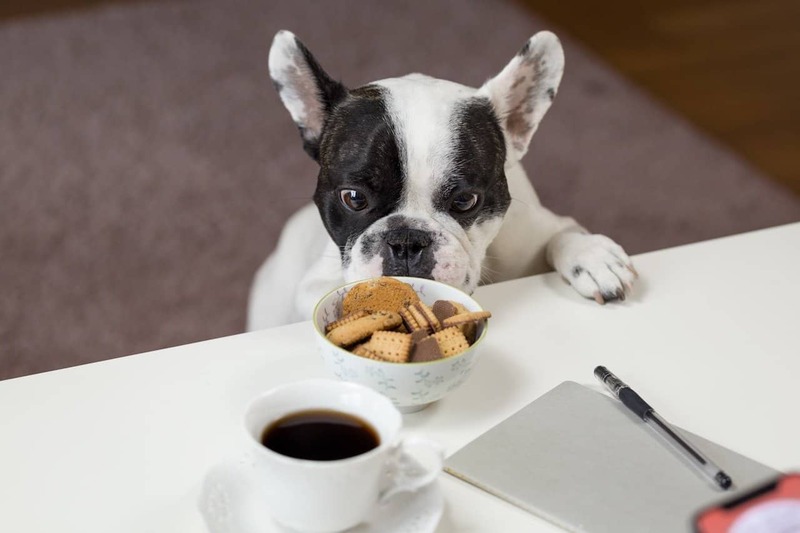 In summary, although choosing a dog food can be a minefield, there are some key dog vitamins and nutritional requirements that should drive your decision making. Once your dog is settled on a food and is happy and healthy then you know you have made a good choice. Other dog owners and pet food companies will often instil the virtues of their own brand of dog food but be careful not to be swayed if your dog is already settled and healthy. Paying more doesn’t always mean getting the best. For a quick way of seeing how balanced your dog food is, visit all ‘about dog food’. Whilst it doesn’t replace expert advice it does summarise the many attributes of dog food available on the market.